The clink of weaponry and armour heralds the arrival of the crusaders. The troop is passing though while on quest to the Holy Land. Their armaments firmly gripped by hands guarded with the Richard Chainmail Gauntlets. 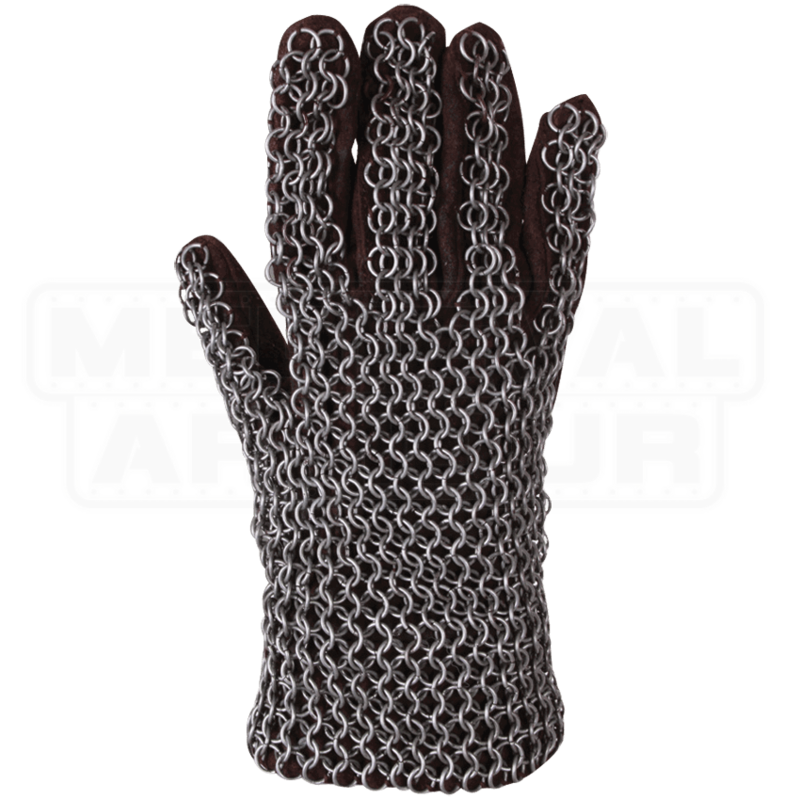 The worthy crusader enjoys the traditional style and durability of these chainmail gloves. 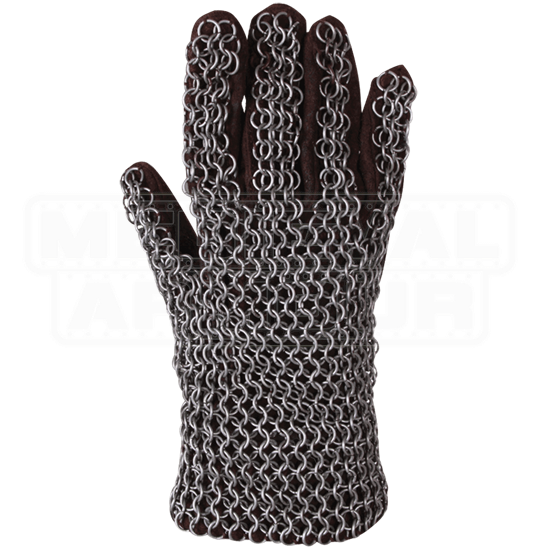 Mild steel rings cover the brown suede leather gloves with a 4-in-1 chainmail pattern. Machine oil coats the butted round rings for excellent rust prevention. These fine pair of gauntlets makes a perfect addition to your noble crusader attire. Combine this pair with the rest of the Richard chainmail for increased defense. Care Instructions - This chainmail armour is pre-coated in oil before shipment. Occasional oiling is required for maintenance. When storing your chainmail armour, protect it from oxidation by coating with machine oil.